In early 2001 Prospect Chapter Stockholm is founded. 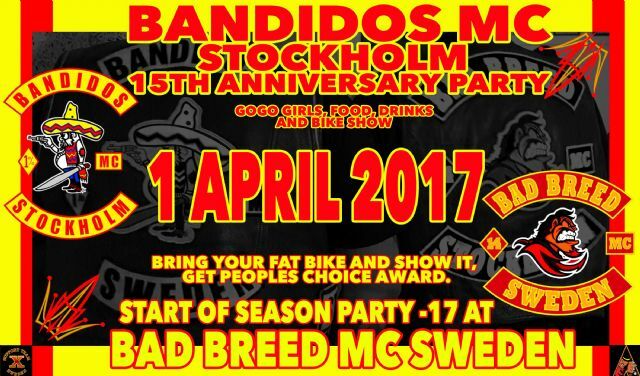 In March 2002 the chapter becomes BMC Probationary Chapter Stockholm. 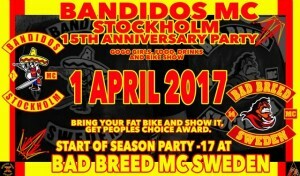 In 2004 the chapter becomes full patch chapter, BMC Sweden. During the years the chapter has resided in different clubhouses in Stockholm. The chapter has grown steadily and the brotherhood in the chapter has become stronger and stronger. The future in Stockholm is red and gold.